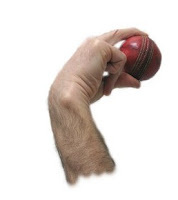 At a time when many Cricket experts claimed that as the Cricket is getting shorter with arrival of T20 cricket it is game of Batsmen now some great spin bowlers proved it wrong with their fabolous bowling. in recent years we have seen some great spin bowlers coming into game of Cricket and making the whole world amazed like Saeed Ajmal and Sunil Narine. with his destructive bowling in last few years Saeed Ajmal has proved himself to be no. 1 bowler of the world. He made entry in world cricket at age of 30 but still he shown great impact. he bowls very dangerous Doosra bowl which Batsmen fails to understand. 25 Years old Sunil Narine is not much behind Saeed Ajmal in his dangerous spin bowling. he started his career in 2009 and in few years started to get considered in world's top bowlers. in 39 ODI matches has taken 59 wickets so far. this young spinner is yet to achieve a lot more in his career. 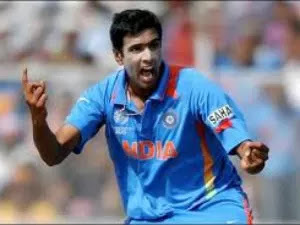 India always had shortage of good bowlers but they found a very good spin bowler in shape of Ravichandran Ashwin recently. Ashwin Debut in International cricket in 2010 vs Pakistan. he bowls carrom ball very well and often gets wickets on it. in 16 test matches Ashwin has got 92 wickets which shows his class. Currently he is just 26 years old which means he can play for another 10 to 12 years. 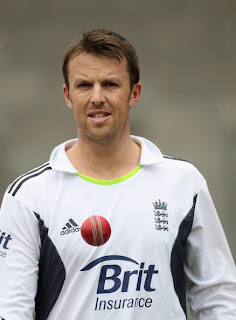 English spinner Graeme Swann is considered one of the best spinner of current times. 34 years old Swann also made late entry in International Cricket like Saeed Ajmal but proved himself to be a good bowler. Swann has played 55 test matches for England and taken 241 wickets. 17 times he has taken 5 wickets haul in an inning. 28 years old Mendis is a Sri Lankan spinner. he bowls dangerous carrom bowls and googlies to batsmen. Mendis done Test debut in 2008 against India. he has also remained in Sri Lankan army. Sri Lanka Army Cricket Committee seen that this boy has got lots of talent due to which he got chance of playing for Sri Lanka. so far he has played 17 tests and 62 ODIs. although he came in Pakistan team as a batsmen but he also proved himself to be a great spin bowler as well. from a long time he is in ICC Top 10 Bowlers Rankings because he is taking wickets continuously. now he is also T20 captain of Pakistan and after retirement of Misbah Ul Haq he can also become captain of Pakistan's ODI and test side. Abdur Rehman is a talented left arm spinner from Pakistan. although he not gets much chances to play in Pakistan team due to presence of Saeed Ajmal but whenever he got a chance he proved himself to be a great bowler. in just 17 test matches he has sent 80 batsmen back to pavilion. 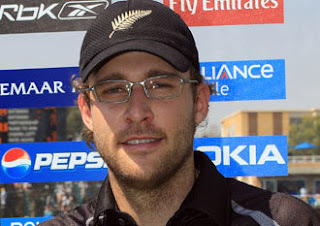 34 years old Daniel Vettori is a very good left arm spinner and former captain of New Zealand. he has got more than 350 test wickets in 112 test matches. Vettori's best performances are against Australia. Boom Boom Afridi is considered among top all round cricketers of the world. he is not only known for his big sixes but also for his dangerous spin bowling. he is not performing well from last few months but if we see his performance of last 2 years then we will have to consider him one of the best spinner in current cricket. 32 years old Harbhajan Singh is dangerous off spinner from India. Harbhajan done his debut in 1998 for India and has got 411 test wickets till now in 100 tests. he was also part of India's World Cup squad in 2011. 31 years old Monty Panesar is a left arm spinner who plays test cricket for England. in 48 test matches he has got 164 wickets for England. Shakib Al Hasan is considered one of the best all rounder currently in International cricket. For Bangladesh he has scored more than 3600 runs and taken 161 wickets in 129 ODI matches.